So you have a new strategic partner to increase sales opportunities to target the same prospects in your respective channels and networks. Assuming it’s a great fit, congratulations. Ideally, the two of you will solve different business challenges experienced by your target customers. You’ll want to create a bond of trust with your audience. That should be the objective. Each of you can garner new prospects as you enhance your image with additional credibility and authoritativeness. 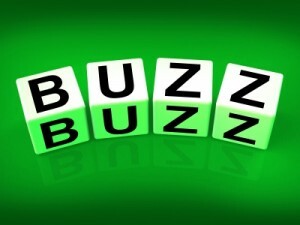 You will succeed together with the right Internet buzz. That starts with the right approach — a press release before anything else. The next step is to issue joint online press releases to boost the online presence for each of you. You’ll want to create messages that the two of you control in terms of content, format and tone. Why? A study shows PR is nearly 90 percent more valuable than content marketing. Identify the search keywords and key phrases that will serve as magnets for attention. Insert the keywords in your headline and copy. At most for your press release, determine a maximum of 10 keywords so they don’t confuse the search-engine crawlers. Be careful, though, not to dilute the impact of your headline by inserting in it too many keywords. That goes for the body of your press release. Don’t make the mistake of overloading your headline and content with too many keywords. Besides, the search engine crawlers, especially Google will react negatively. Develop a concise summary for insertion beneath your headline – as a subtitle – with an effective meta description. Accomplish this with an economy of words to summarize the content of your press release. If your press release provider allows it, insert subheadings for the different topical paragraphs in boldface to improve readability. Also to keep readers interested, insert short sentences and paragraphs. Include links as calls-to-action to visit specific pages on your companies’ sites. Insert high-resolution pictures and videos to complement your editorial copy. Good videos, in particular, increase your PR return on investment by 50 percent or higher. Double-check your release for SEO – search engine optimization, and insert it on your companies’ sites. That means including a social-media toolbar so readers can share your release. You can choose whether to use a PDF format. Insert the press release on your companies’ sites. If you don’t have one, create a “press room” page. Even if your budget is tight, one benefit of a joint press release is that you can now afford to hire an expensive distribution firm that delivers press releases directly to editors and reporters in the news media. Whether you use a free distribution service or an expensive one, be sure to use one that gets published on Google. You can check by merely Googling to see if the service is successful in inserting press releases on the search engine. Don’t forget to cross-promote your joint venture on both companies’ channels and networks – social media, blogs and on any online advertising. P.S. While you’re at it, play a trump card by capitalizing on more PR footwork — leverage radio, TV and newspapers for public relations. Even on a limited budget you can leverage news media. For a Bounce in Revenue, Try Strategic Press Releases — Ever wonder why some companies are always in the news or how they succeed on the Internet? It’s a good bet they have a good PR consultant or have mastered the art of writing press releases. You can level the playing field with effective press releases. They should be part of your marketing mix. ‘Video Marketing Cheat Sheet’ to Attract Customers — You and I can probably agree on the value of videos in marketing. Videos make it possible for prospects and customers to better visualize your products and services. Right? SEO: Despite Hoopla over Social Media, Web Searchers Stay Longer — If you want your Web site to dominate your competitors, you might want to consider that social media doesn’t enhance your odds as much as risking more investment on content and search engine optimization techniques. Inspiration from Raymond Loewy for the Best Business PR — Iconic Raymond Loewy taught us public relations — how to get noticed.